I am interested in doing a large needlepoint of the first image on this website. Please send canvas image with price. Thank you. Hi, we will email you pricing today. Thanks! I am interested in a large needlepoint of a family crest, last name is D’ Angelo,Can you please send me pricing. Thank you. Canvas prices are on the left of the chart at the bottom, the prices on the right of the same chart are including fiber. need particulars on family coat of arms for SAMPSON. Hi Judy, I just emailed you. 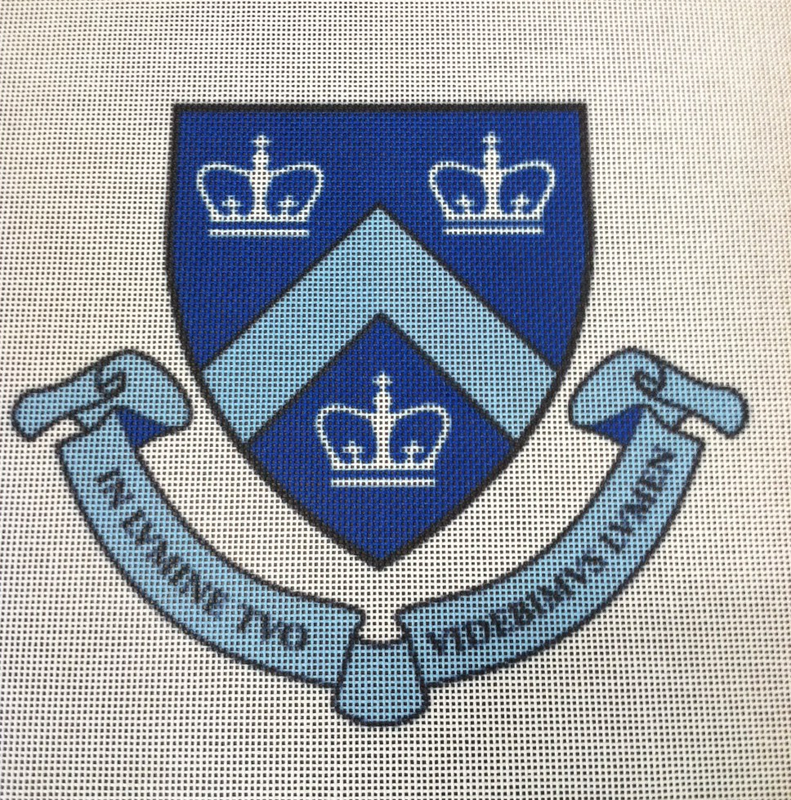 If you already have a coat of arms, please email it to me and we’ll work on translating that into needlepoint. If not, let me know and I’ll see what we can do. Would like to see if there is coat of arms for my maiden name, Salinger, and if so could I get it patterned so I can do it in needlepoint? I have no idea how much the research and pattern would cost but would like to know. The prices for a custom project like this start at $75 for a 8 x 8 design on 11 x 11 inch canvas and $102.40 for a 12 x 12 on a 15 x 15 inch canvas. Please email info@needlepaint.com if this is of interest. I am interested in doing needlepoint coat-of-arms pillows for Todd and Wilcox. Would appreciate your help. Hi Mary, Thanks for getting in touch! Do you know the coat of arms, or would you like us to research those names and try to find them? I would like to make a needlepoint of the Bacon coat of arms to compliment the one my grandmother made for the Maxwell surname. That needlepoint is approximately 14-1/2″ x 17″. The one I have seen is from House of Names. Thanks for getting in touch! We would love to help, please email me, seth@needlepaint.com or call if you would like to review the details and pricing. Can you all make a crest for a pillow of Hampden Sydney? A fraternity crest on a cummerbund? Sorry if this reply is slow, for some reason I am not notified when new comments are posted anymore. I was wondering if you could produce a Bacon Coat of Arms needlepoint. I have one for Maxwell and it measures about 14″ X 18″. I want this one to match in size so I can display them together for both of my parents. I am interested in doing a large needlepoint of the AIKMAN family name including the motto. Please email me the price and time it would take to get it to me. The version of the crest that I prefer is of a hand holding an oak branch showing both the branch and leaves.